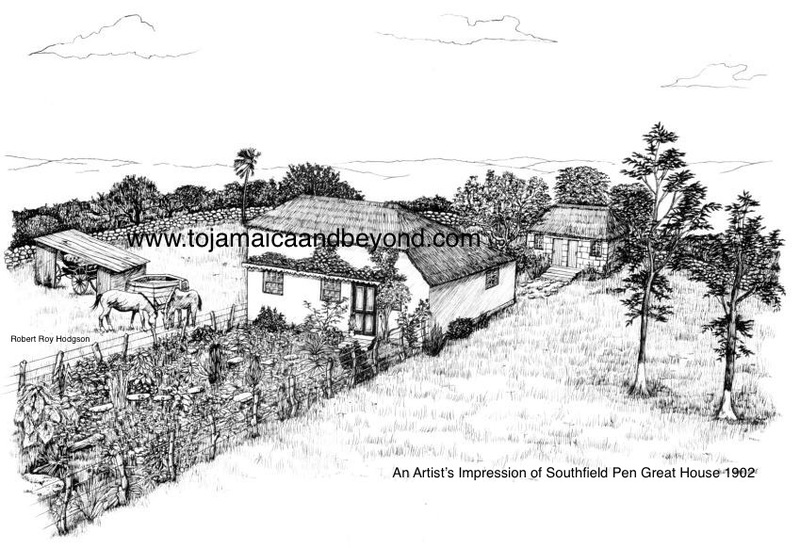 The opportunity to emigrate from Jamaica to the United Kingdom had arrived. Cecil was about to move to England…. Cecil Hodgson was still a single man living in Southfield. At the age of 40, he was still an excellent Cricket player and captained Southfield Cricket Club in a match at another parish. It was to be the last time that he would play Cricket in Jamaica. The movement of West Indian’s moving to England was in acceleration. Cecil began a ten day journey from Jamaica to England. On the 20th September 1951 he flew Pan Am airways from Kingston Airport to Miami, Florida. It was the first time that he had ever flown in an aircraft. The next stage was New York. Probably being waved off by his New York relatives, Cecil boarded his ship, the Georgic at New York harbour to begin the second leg of his journey to England. Using his first name, Walter Hodgson, sailed ‘1st class’ aboard the Cunard steamship Georgic. The anchors were raised and he was off. He was about to become the first ‘Southfield Hodgson’ ever to emigrate to England. He had friends on the ship, a man called Cassie Duncan and Everith Ebanks of Flagaman (near Southfield) Cecil would eventually share the same lodging house in England with these two men. The ship headed out for North West England. After sailing for about 9 days, it arrived at the Port of Liverpool on the 30th September 1951. Cecil, just like the rest of the family, thought the Hodgson’s came from Scotland. On his arrival in Liverpool, he was totally unaware that he had just arrived in the town where the Hodgson’s had actually lived prior to moving to Southfield. Cecil was now ‘On English Soil’ and had unknowingly just stepped foot in the birth town of Mass Teddy’s grandfather! A man who had done a similar emigration journey to Cecil, but only in the opposite direction – Liverpool to Southfield. Two of his friends, Cassie Duncan and Everith Ebanks headed off in a different direction, travelling down to Edgbaston, Birmingham in the Midlands. Cecil’s accomadation was supposedly in the Capital, London. It is highly likely that he caught a train at Liverpool Lime Street and traveled down South to his proposed address in the city of London, 71 Longridge Road, Earls Court. It is unknown if he actually stayed at that address. Cecil stayed in London for under 6 months, then eventually decided to move up to the Midlands. He hopped on a train at London’s Euston Station with a friend, Glen Shields. Glen was an English citizen, a Jamaican who had previously served in the RAF and had been resident in England since 1943. Whilst on the train travelling together out of London, Cecil noticed many chimneys bellowing out loads of smoke. He remarked to his friend Glen,“There are lot’s of factories here” “No, they are not factories, those are houses!” replied his friend. It was all new to Cecil, seeing houses with smoke blowing out of chimneys. It was all so very different to life back home in Jamaica. Cecil had now left London and was on his way to the Midlands….